Halotherapy <from the Greek words for salt – Halos >, also known as salt therapy, is a clinically proven, drug-free, and natural respiratory, sinus, allergy, and skin treatment protocol utilized for reduction of symptoms, inflammation, and congestion, along with improvement of existing medication effectiveness. Salt therapy originated in Eastern Europe in the salt mines and gained recognition in the nineteenth-century thanks to Polish physician, Dr. Feliks Boczkowski. Several mines today are home to clinics and hospitals. Halotherapy evolved in the last 25 years by physicians who wanted to introduce the benefits clinically and mimics the natural micro-climate environment of salt caves and salt mines. Today, after numerous European clinical studies, it is a widely practiced and insured treatment in other parts of the world prescribed along with medications, making them more effective and less frequent in duration. Additionally, professional settings in Europe incorporate halotherapy in sports training programs and workplace wellness programs. Natural salt caves are special because the air inside of them has become purified and therefore provides natural relief from a variety of conditions and indications listed below on this page. There are also negative ions throughout the micro-climate which assist in providing relaxation and rest, while trapping pollutants. Negative ions can be found in the air after a rainstorm and at the ocean amongst other environments, but pollutants in the air greatly diminish their effectiveness. Our micro-climate, features blended research and technology, that was pioneered by the world’s leading expert in Halotherapy. Re-created in a specially designed environment with over 12 tons, or over 24,000 pounds of Himalayan Salt. This re-created salt cave took over 500 man hours to complete. The temperature as well as many other variables inside are specially monitored to ensure each session is accurate and beneficial. The room utilizes a specialized medical-grade halo-generator, a unit based off of numerous clinical studies, we create a dry salt aerosol, which is constantly monitored throughout the 50 minute session to ensure correct and accurate saturation. During the session, you will lie back in chairs that are designed to fully open up the lungs, ensuring introduction into the sinuses as well as upper and lower respiratory tracts. Himalayan salt contains 84 minerals and trace elements, which are metabolized easily by the body and essential for cell functions of the body. Himalayan salt can help with numerous respiratory issues and skin disorders, help eliminate toxins from the body, help circulation, help to balance the body’s PH levels (acid/alkaline balance), help keep the nervous system working correctly, and may help keep muscles in tact and relaxed. Himalayan salts are popular for use in bathing and are becoming the choice for many in cooking, for the many healthy benefits compared to man-made, bleached table salts. Halotherapy has no known side effects, though some people may notice a salty taste in their mouth. You may have a runny nose, increased mucus drainage, or productive cough after the session which is normal and the body’s way of naturally clearing the toxins and allergens and serves to decrease inflammation, open airways, and expel stagnant mucus and pollutants. It is important to drink plenty of water before and after the session, as proper hydration is essential every day. For the consideration of others, we ask that you reschedule your session if you have a fever, flu, or other contagious ailment. NO electronic devices, including cell phones or readers, foods, or beverages are permitted in the cave. A locker will be provided. Please dress in clean and comfortable clothing. (We recommend lighter colored clothing as salt particles filling the room tend to show up on darker clothing, but can be easily brushed off as it is a dry salt.) A blanket will be provided. Also, we ask that you please limit the use of fragrance in our facility due to the sensitivity of some of our clients. We encourage you to continue reading the information below to learn how halotherapy can help you, as well as the opportunity to link to recommended protocols and clinical studies. Additionally, the micro-climate of our salt cave provides a high level of air quality free of pollutants. This purity can help slow the aging process by stimulating the growth and regeneration of collagen, reducing the appearance of fine lines and wrinkles, and brightening the complexion. Salt has the natural ability to balance the excessive positively charged ions in the atmosphere, by binding them with the negatively charged ions – just like the air at the ocean. Therefore, the neutralizing force of salt can not only cancel out positive charged, harmful, electromagnetic vibrations and ions in our environment, but in our bodies as well. For this reason, Halotherapy has relaxing effects, is beneficial for calming the nervous system, and can reduce stress, while gently eliminating environmental toxins and pollutants from our bodies. 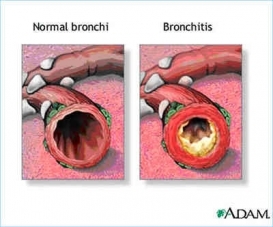 Salt has long been a well known decongestant, which reduces inflammation widening of the airway passages, restoring the normal transport of mucous secretion and free blockages in the bronchi and bronchioles resulting in rapid elimination of the residuals and foreign allergens. 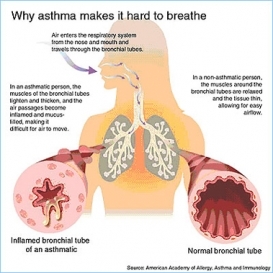 It also has a hyposensitizing effect: the body becomes less sensitive to a substance which produces allergic reactions. Halotherapy is shown to reduce IgE (antibody involved in allergic reactions) levels, in the body. The skin is a mirror to the inside of our body; especially, our intestinal areas. Skin irritations and eczema which appear around the neckline, on the face, and around the mouth area, usually indicate disrupted intestinal flora. As a result, the body cannot eliminate toxins nor remove them through the skin, thus causing the skin irritations. It is important to remember that natural dry salt aerosol can have a health improving effect on the respiratory system, and can provide a detoxification and lymphatic drainage effect on the whole body as well. Dry salt aerosol can provide a purifying effect, restore the biocenosis (whole body in balance), improve the micro-circulation, and the protection qualities of the cutaneous(skin) covering. It can induce exfoliation, nourish, and stimulate the skin. For those wanting to focus on skin conditions only – please ask us about our special Halotherapy Beauty sessions. 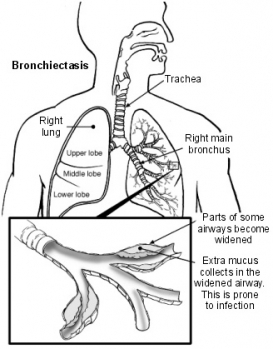 Note – these special sessions are not for those with respiratory issues. 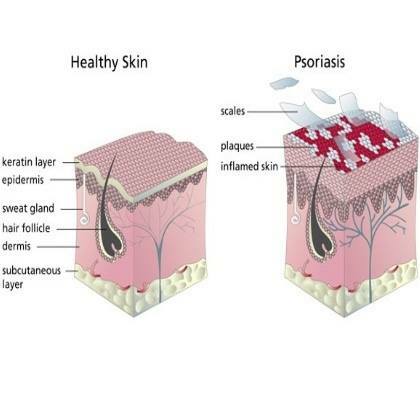 Psoriasis is a genetically inherited disease which typically does not manifest until adulthood. The accelerated growth of the top layer of skin forms red spots, which are usually covered with a thick layer of white flakes. Most often, it takes 28 days for epidermal layer to be fully replaced in a person who does not have psoriasis; the time it takes for the deep skin cells to move through to the top layer. For people suffering from psoriasis, this process happens in only 4 days. This may also cause severe itching. Halotherapy can also reduce snoring and facilitate better sleep patterns by clearing the airways in the pharyngeal area. 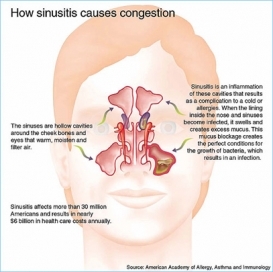 Edema <swelling> of the nasal mucosa, pharynx and soft palate, which cause nasal obstruction and snoring, can be reduced by inhaling the dry salt aerosol, leading to widening of the airway passages in the nose and the tubes of the sinuses; improving drainage and reducing snoring. 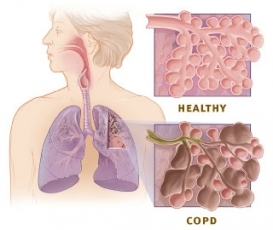 Polyps are inflamed tissue on mucus membranes that may grow in size due to inhaled irritants and/or stagnant mucus in the nasal passages or sinuses. Halotherapy is naturally able to absorb fluids (mucus) from the nose and sinuses while at the same time killing and clearing the respiratory system of irritants, in turn eventually helping polyps to shrink.. Swelling of the Eustachian tubes, which may lead to ear infections, can be diminished by Halotherapy salt particles, leading to widening of the airways, improved drainage and better aeration behind the tympanic membrane of the ear, therefore equalizing pressure. If you have just quit smoking, halotherapy is very useful in speeding up the removal of toxins from deep inside ex-smokers’ lungs. Clinical studies have shown that salt particle inhalation can help reduce inflammation in the respiratory tract; reduce edema (swelling) caused by fluid in the tissues, and can help free blockages in the bronchial area, thus helping to rid of allergens and residual tar in the lungs. Simply put, a great way to just lie back, relax, and de-stress for 50 minutes of your day with all the added benefits of salt therapy. Clinically proven alternative treatment which through studies successfully addresses the needs of a person diagnosed with asthma, sinusitis, hay fever, and other ailments via diffused dry aerosol salt therapy. The setting is not a typical sterile environment, but rather a relaxing, simulated salt cave where the person forgets they are even receiving treatments. This treatment may be complementary to conventional medical treatment and in studies has shown that medications may reduce or be removed based on condition and maintenance of therapy. Halotherapy treatment is most effective when it is used at least three times per week for 8-12 weeks for most adults. There is no limit on Halotherapy sessions and they can be taken as many times as desired. You may feel some improvement after a single session, but a series of treatments is highly recommended to achieve the best results. As with all natural therapies, consistency is required to achieve best results and due to varying degrees of congestion, tightness, and inflammation, it varies from client to client. To learn about the recommended protocol for Halotherapy, please click here. Please click here for a list of sessions to be used as a guide. For availability and scheduling of an appointment, please call 717-552-2369. Please click here to read about clinical studies on Halotherapy. By visiting our Gallery page, you can see photos of our Halotherapy salt cave.